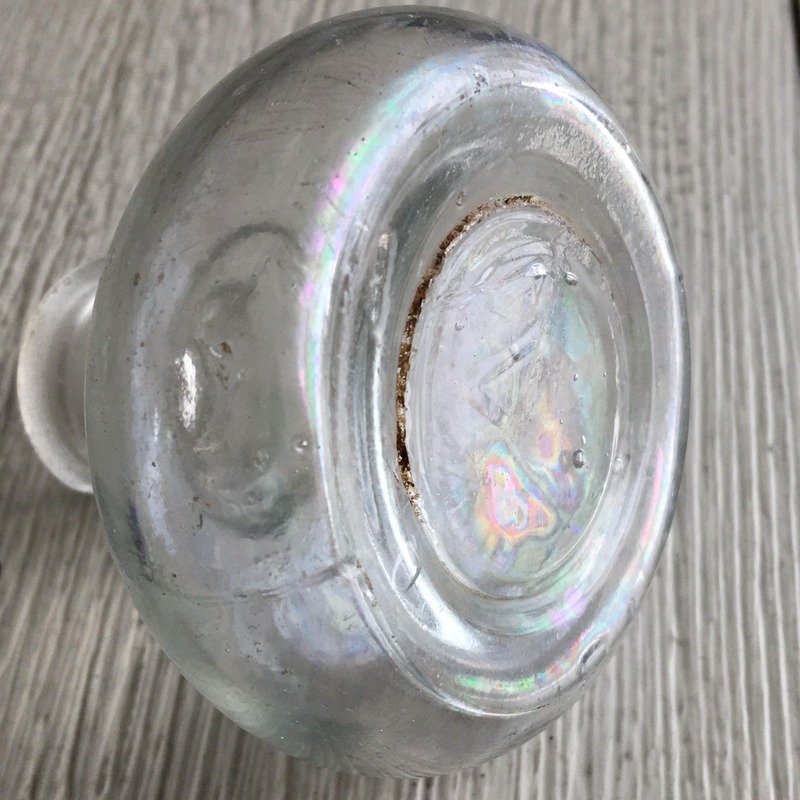 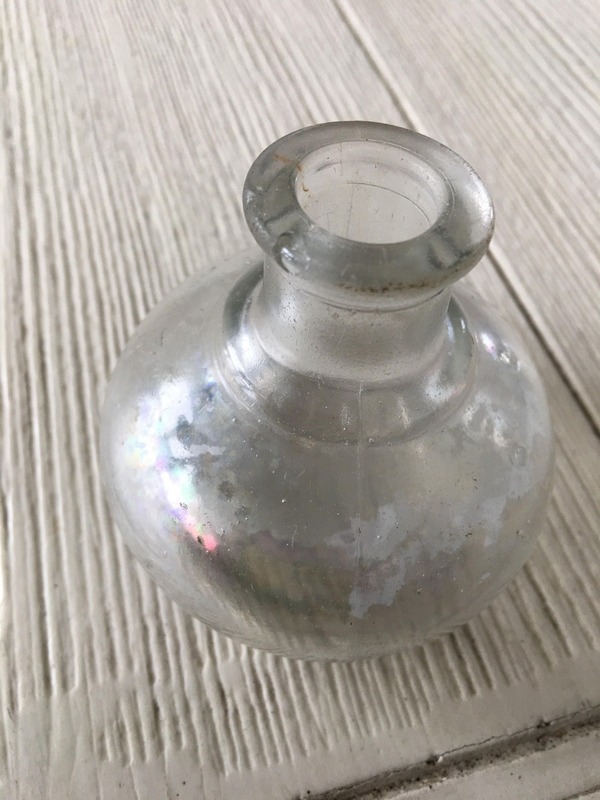 Beautiful old inkwell or ink bottle has the magical iridescent patina and mineral deposits of glass that has been buried for many years. 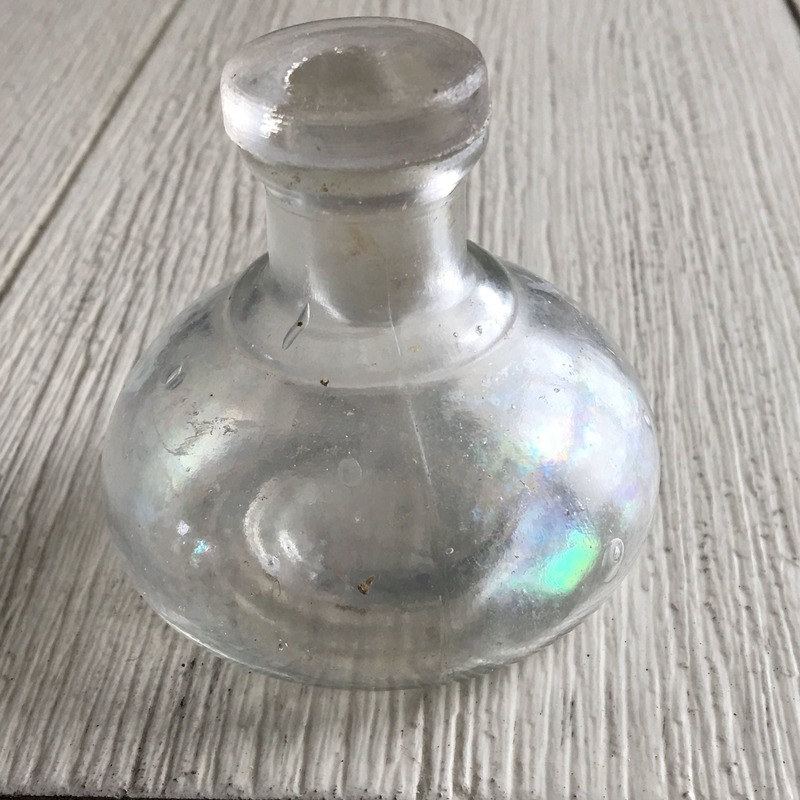 2-3/8" wide x 2-1/4" tall with lid, no cracks in bottle, small chips on lip. 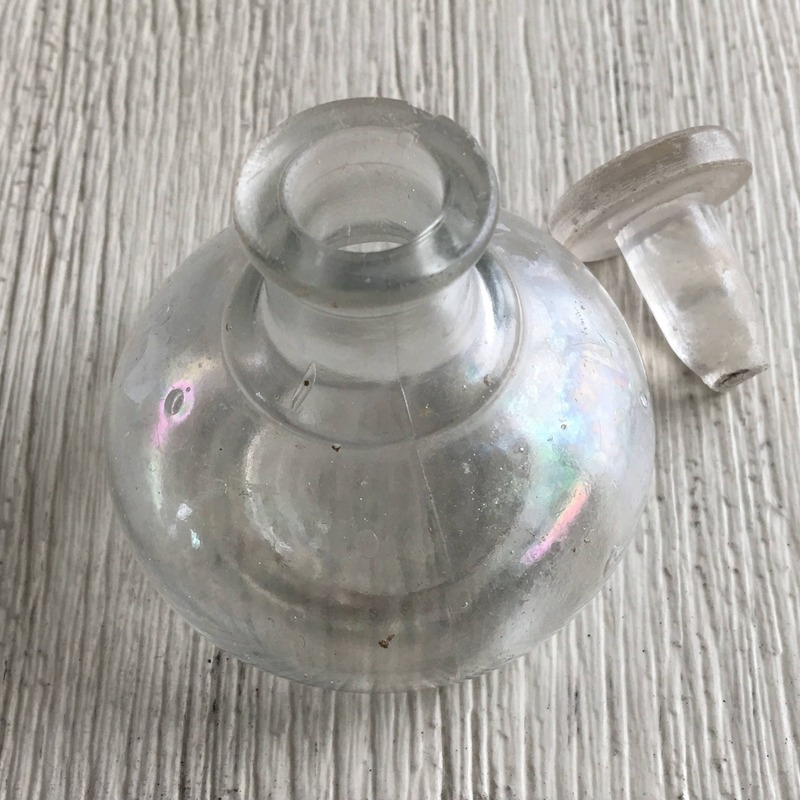 Lid or stopper fits loosely and has some wear/small chips around bottom of stopper. 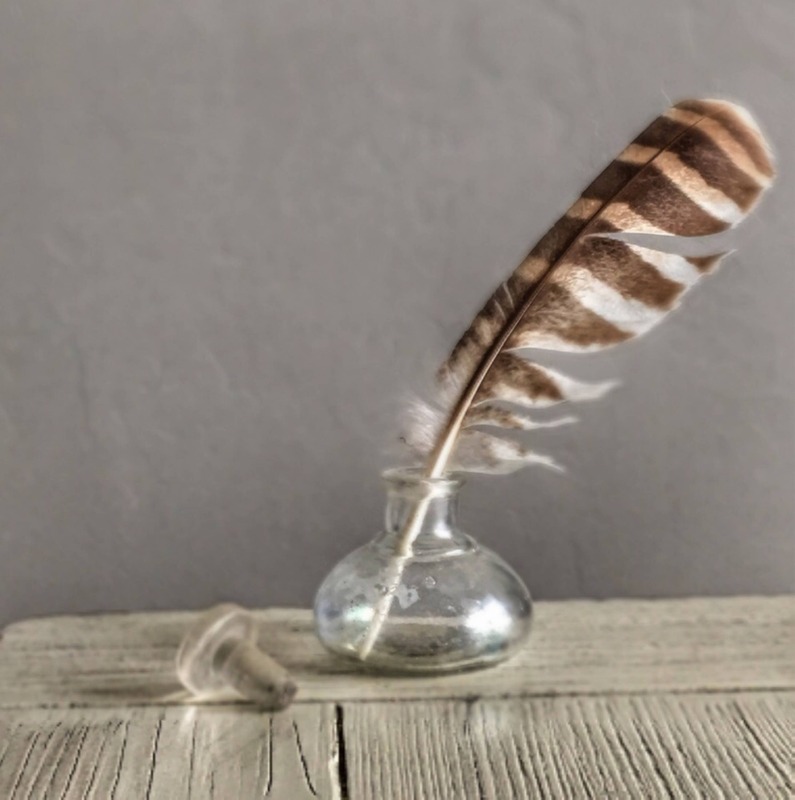 Feather not included.